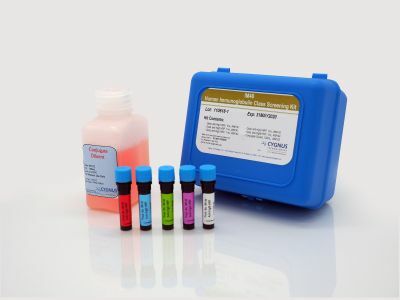 This kit contains individual, highly specific anti-human IgG subclass antibodies (anti-human IgG1, anti-human IgG2, anti-human IgG3, and anti-human IgG4) labeled with the enzyme horseradish peroxidase (HRP). When appropriately diluted these antibody:HRP conjugates can be used for identifying the type of IgG response to a particular antigen. Because of the specificity of these conjugates they can also be used as labels in ELISA for quantitation of the individual IgG subclasses.